Building a lifestyle business is like going to the gym. You can’t read about working out and expect to become fit. You have to learn what works, and what doesn’t, and then you have to actually do something. In the beginning, it’s a struggle, because your body isn’t used to pushing itself. But soon enough adaptation occurs and you have to up the pressure to make further progress. It’s not about being smart, talented, or connected, although those things certainly help. It’s about putting in the time to learn the right things, and then taking action. You start out knowing nothing, but with each step, you get better, smarter, and faster, until finally you’ve built a lifestyle business. But most people never make it and will never make it. Do you ever wonder why? When I started out in 2006, I looked for the easy road to success. I spent thousands on courses, programs, and coaching that got me nowhere. When I was finally ready to work hard, I didn’t have the right information, so I kept spinning my wheels. Eventually everything fell into place and I started seeing results, but it all came from my determination to succeed. And that is what most people lack. They look for the quick and easy way out, and it’s not happening. Building a lifestyle business comes down to blood, sweat and tears. If you haven’t yet succeeded, then you keep going until you do. But if you want to avoid wasting your time, you have to have the essential factors in place. There are many factors that come into play when you want to build a profitable lifestyle business, but as I look back, I see five that stand out. 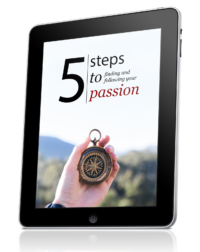 Building an online business around your passion is simple, but certainly not easy. The people most likely to succeed are those that are determined to work hard and face their fears. When that mindset shift happens in people, things take off like a NASA rocket launch. The good news is that anyone can incorporate the five factors into their life. So, let’s start with the first factor, which is right information. When you start out, you probably won’t have the right information, because it’s tough to distinguish the good from the bad. If you go to the gym, and you don’t know what to do, you won’t see the same results as someone who knows exactly what to do, when, and how. So, how do you get the right information? You find someone who’s already done what you want to do. It could be a mentor, a coach, or even a training program. After you’ve got the right information in place, it’s time to focus. Focus means doing one thing at a time. If you try to learn everything, you’re just going to overwhelm yourself. It wasn’t until I decided to focus on ONE thing that I started seeing massive results. Think light bulb versus a laser. That’s the kind of focus you’re after. There’s no room to have ten different projects running. Pick one and do that until you succeed. But focus is only the beginning. Nothing happens without doing something on a daily basis, which is why you have to have a daily practice. You don’t have to quit your day job to build your business. You can learn how to build a lifestyle business in 2 hours a day or less. The key lies in taking daily action. Even spending 30 minutes a day learning and implementing the right things can make a big difference. Don’t put off starting your lifestyle business just because you can’t spend all day doing it. But all of this is irrelevant if you don’t know if you’re on the right track. If you want to make rapid progress, you need feedback. You need someone who can point out your mistakes, so you can course-correct. Most people dabble on their own and wonder why they aren’t seeing results. The reason is almost always the same: because they’ve been doing the wrong things, in the wrong way, and at the wrong time. I had a coach when I played poker to make sure my game was constantly top-notch. I had a coach when I built my first successful website. And I have a coach today to keep me on track. But even a coach cannot help you with the last factor, which underlies everything else. Your attitude is the fuel behind all the other requirements above. When I started, I had a weak attitude. I wanted fast success, but after a few years of banging my head against a nice, shiny wall, my attitude shifted. I had spent enough time in the kiddie pool. I am where I am today because of that attitude shift. I have a successful online business that allows me the freedom to hang out with my newborn son and do whatever I want, which at this time is to learn Dutch, because my girlfriend is half Dutch. You don’t have to be perfect to build a successful lifestyle business. You just have to have all the above factors in place, and you have to START. Building a successful lifestyle business is like going to the gym. You have to know what to do, when to do it, and how. Then you have to apply what you’ve learned over a period of time to see results. And if you want to speed up your progress, having a coach never hurts. I had no idea what I was doing when I started. I fell for the get-rich quick schemes, but I refused to give up, so here I am. And above all, remember to take action. Every. Single. Day. It doesn’t matter if you haven’t succeeded yet, because if you keep going, you will. Your assignment for today is to implement one of the five factors into your life. Which one of the factors do I have the most trouble with? How is it affecting my lifestyle business building? It’s easy to put this off, but taking action now will get you moving closer to having more control and freedom over your life, so you can live life on your own terms. You did very good job summarizing it with those 5 factors. It took me almost 1.5 years before I started recognizing bad information. That was the single biggest thing that slowed my progress down. Bad information easily leads to wrong focus, acting on wrong things and can demoralize you because you don’t see the kind of progress you want. This leads to frustration which can lead to search of more (wrong) information and the cycle starts again. I agree with this article, if you don’t have the determination to succeed, it’s easy to give up after a while. I’m happy you didn’t give up & kept moving forward. I am now traveling the same road. This is DEFINITELY key – it’s how I’ve managed 200 posts on my business blog while juggling 3 part-time jobs! I’ve certainly sweated and cried over the past 5 months (haven’t bled yet, fortunately :-p), and I’m just starting to see some financial results. It’s super-exciting!